having a clear out - got some 223 ammo. Prefer some one take the lot. Pick up only or could arrange delivery in Jaffa land. FAL required. 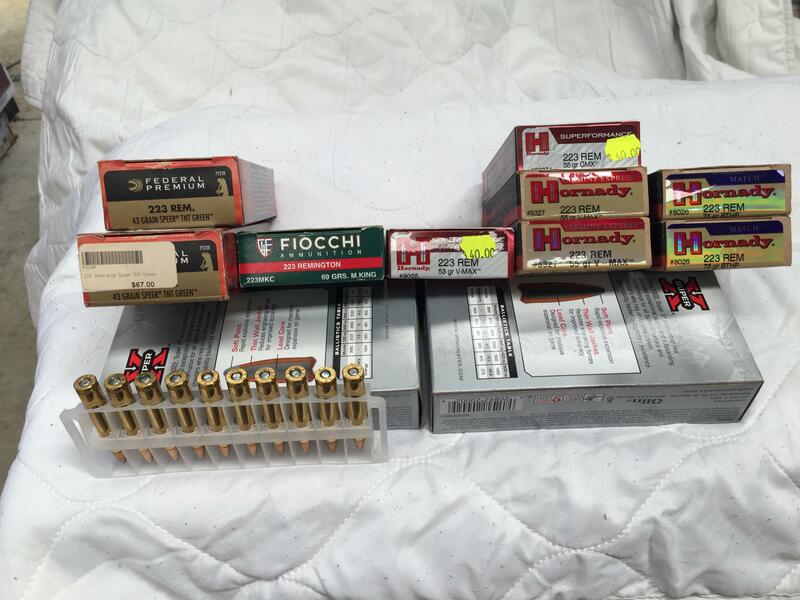 I'd like the Hornady 75 grain and the Fiocchi 69 grain please, how much and how much for the lot? If you were to be buying and picking up the lot I would be keen to meet up at Rangiriri or thereabouts and grab a couple of boxes of the lighter stuff. Still don't know what goes best in my rifle. Hey Macca $37 per box for 75 & 69 grainers. $270 for the lot. How much for the rest? bump - 69 & 75 gn sold. Rest looking for a home. @Maca49 I'm heading back down from Whangarei and can collect from @chainsaw if you like. Deliver to you Sunday? count me out told my son but he didn't follow up. WTB: WTB The plastic ammo holders that come in ammo boxes.